If you really want to harness the power of word-of-mouth, you should be thinking about referrals. Referrals are of two origins—what others say about you based on their experience and direct actions you take to encourage that communication. Both should be part of your marketing strategy and included in your business plan. Find businesses that don’t compete but work within your industry – and let them know you’d appreciate referrals. Think about every time you go to a hotel. What do you ask, if you’re new in town, and you’re not interested in fast food? And the hotel clerk will give you some suggestions. Refer customers to other businesses that have nothing to do with your industry. If a customer expresses a need, and you can’t fill it, but you know a business that can, speak up. The caveat is that you should actually feel good about recommending another company’s services. If they turn out to be a bad fit, it won’t reflect highly on you. But if it’s a solid company, and if that business learns that you’ve been referring your customers to them, odds are pretty good they’ll start returning the favor. Ask customers and clients for referrals. You want to be direct, but low-key about it. If you ask for a referral in a way that turns a client or customer off, you probably won’t get the referral and maybe even lose the customer. It’s direct and the “ask” is after the service or product has been purchased. Sometimes a satisfied customer does not know how to make a referral, lacking knowledge in either how to use a social media system or how to say the words. Make it easy for them by using platforms like Twitter, Facebook, Instagram, etc., to help quickly spread positive reviews that you and perhaps they can forward to others. Gail F. Goodman in her book “Engagement Marketing: How Small Business Wins in a Socially Connected World,” notes that for small retailers, 90% of sales come from repeat customers. Of the 10% new customers, 90% comes from word of mouth and referrals from existing customers. So keep your existing customers engaged, and give them easy ways through social media to provide referrals. Refer customers or potential clients to a competitor. Yes, that’s right. Send some customers to a competitor. This assumes you can’t take on the work yourself. It’s an accepted business practice that happens often with single-person service businesses, and while at first glance, it might seem crazy to help your competitor, keep in mind that you’re also helping the customer. And by doing the right thing, you may well be rewarded later. Your potential customer or client may remember your generosity, and you’ve also made it likely that your competitor will refer customers to you, when he or she is too busy to accept new work. And in the meantime, that customer and your competitor are saying nice things about you. You have a business, and, yes, people are talking about it. There are companies that can build up goodwill by referring customers to your business. Figure out who they are, and approach them. Get in the habit of referring your customers to other businesses, if they happen to bring up a need, and you know where to send them. Ask happy customers and clients for referrals. If you have an overflow of work, refer customers to your competitors. Think about how you get referrals and if you need to improve your game. Referrals work best as a two-way street, so start thinking about businesses that might benefit your customers or clients and, whenever it makes sense, begin referring. 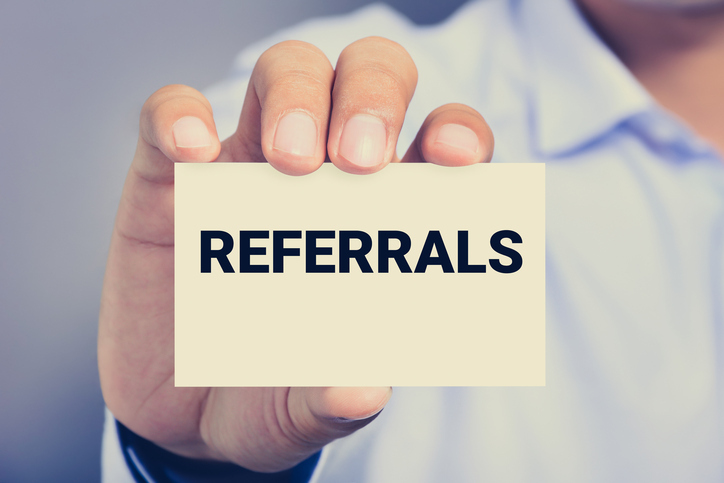 Include referrals in your marketing strategy and in your business plan. 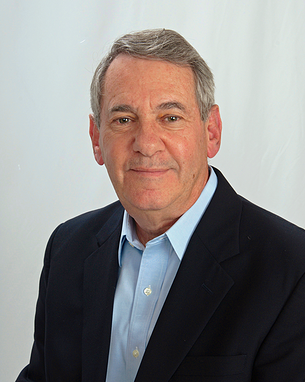 Hal is a SCORE mentor who is passionate about helping small businesses start and grow. He has been a CFO and board member for NYSE/NASDAQ publicly traded companies and nonprofits.